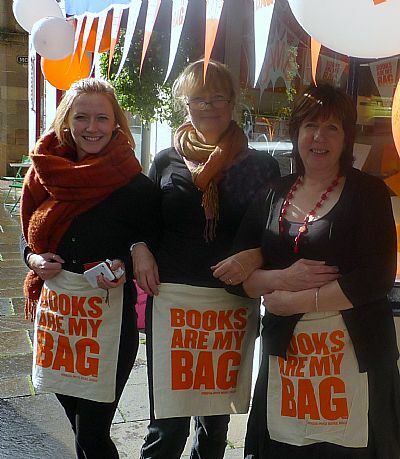 We are a small, friendly local bookshop with a warm welcome and a relaxing atmosphere to wrap around you and enjoy. 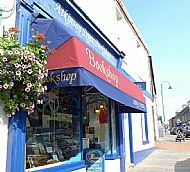 Atkinson-Pryce has been an integral part of Biggar's vibrant High Street since opening in November 1993 and are delighted to be not just surviving but positively thriving. We think Atkinson-Pryce is something of a phenemenon - a successful bookshop in a town of only 2,000 souls. With a very efficient ordering system, electronically linked to one of the largest book wholesalers in Britain, we can source any book - If it exists in print, or out-of-print, we can find it for you. See our home page for details of how to order. Most special orders arrive the next day, and we enjoy the challenge of finding more obscure titles. Educational books for any level can be ordered without a problem and school orders automatically qualify for a 10% discount. All members of our small team are knowlegeable about the stock, and happy to answer questions and make recommendations. 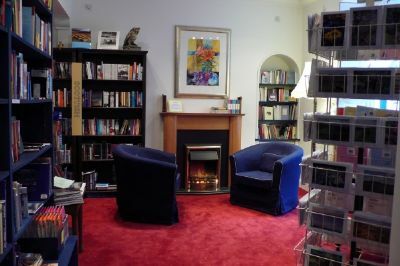 There is an extensive Scottish section, which includes the classics, interesting new publications, local titles and local authors of which there are quite a number. The children's section has its own dedicated area with comfy seating and tempting stories. It is always well stocked with books for the youngest reader through to the latest teenage fiction. It also allows us to organise storytelling and other dedicated events. We pride ourselves in sourcing interesting stock in all fields to tempt our regulars as well as visitors. Everyone who loves books will find something at Atkinson-Pryce. A good choice of cards and wrapping paper, and a carefully curated "non-book" section of book-related gifts and gadgets are designed to appeal to book-lovers. Lastly, but by no means least, we have a small second-hand section with a good number of Scottish and local interest titles, but there is a fine eclectic mix overall. There is always treasure to be found! Watch our events page for author events and other bookish happenings. You can find us in the West End of Biggar's High Street near Cadger's Brig and the Cross Keys Pub.